Grubs and fungus are common problems affecting Long Island across Suffolk and Nassau County. Damage appears as dark brown, dead, patches of grass, which spread over time as the fungus spreads or as the grubs eat through more and more healthy grass. Both are unsightly and can be difficult to diagnose to the untrained eye. Some people may re-seed the area and find themselves bewildered as to why they are not seeing healthy regrowth. Alternative EarthCare can treat grub and fungus problems at the first sign or before a problem starts. 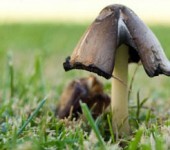 Our treatments are guaranteed to prevent and remove all types of fungus and grubs, leaving your lawn plush and green. 1. Small, dried out and dying patches of grass, which may peel back like a carpet, indicate a possible grub problem. 2. The presence of skunks or moles can be a clue to grub presence but is not always a sign of a grub problem as these animals also eat other soil organisms such as worms. 3. Do you have a pet who is digging a lot in the yard? Animals have great hearing and often hear them underneath the soil. An organic application is applied in May and June to protect your lawn from the devastating effects of grub damage. A beneficial insect is introduced to the soil that will destroy grubs, and the effects will last for up to 6 months from the time of treatment. Grubs overwinter and begin feeding early in the spring (usually April/May). Grubs pupate and become adult beetles around late spring through early summer. The next generation begins in mid summer after female beetles lay their eggs in the lawn. In mid-August, these eggs hatch and the larvae (grubs) feed on grass roots throughout autumn. Proper timing of any grub control treatment is essential for success. Application time varies with each product. Some products need to be applied early to mid-July, prior to the grubs hatching; other products need to be applied in the larval stages (when the grubs are present) in order to be effective. Do I Have A Grub Problem? The best time to look for grubs is right around mid- April to about early- May, and also mid to late August is a good time. One way to repair the grub damage is to make a cut around three sides of a section of sod and peel it back like a carpet. Pick up the grubs. Then just put the section back and water it for a couple of weeks and it should retake the roots and begin growing again. You can repeat this if you want in any other locations or small sections you see them. 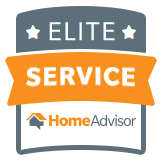 You should always call us to have an expert come out and check to make sure it is truly a grub problem and not a fungus, or pet problem. There is an easy way to fix this as well by calling Earthcare. WE WILL FIX ALL YOUR GRUB PROBLEMS! GUARANTEED! More than 15-20 grubs per square foot may prove you really have a severe grub problem. Most Grubs will overwinter and then begin their feeding in the early spring (usually around April to May). Grubs go through what is called a pupate stage then become after that become adult beetles and you will see them around late spring and all the way through the early part of summer. The next generation of grubs larvae begins in the middle part of summer after all the female beetles overlay all their eggs into the lawn. This process then repeats itself in mid to late August, then the eggs will hatch and then the larvae of the grubs will feed on the grass roots all through the autumn. Most lawn diseases are caused by fungus. Usually, lawn infections afflict leaves and shoots, which are the above ground parts of grass. Common signs of a lawn disease are particular patterns appearing on grass strands. Many lawn diseases can be avoided or minimized by using proper management practices contributing to strong root systems. Fungicide treatments are applied on an as needed basis. Most lawns will not need this application. However, certain weather conditions can increase and promote the spread of diseases throughout your lawn. The product we use is designed to help the grass plant eliminate any problem that might arise. There are over 70 types of diseases which effect grass, most of which are cased by fungus growth, such as leaf spot, powdery mildew, scabs, and rust. One common type is Dollar Spot: The disease name is derived from the dead straw-colored spots about the size of a silver dollar on closecut bentgrass. Dollar spot may persist from early summer until early fall, and its incidence seems to be higher in seasons with low rainfall, presumably from the adverse effect of low soil moisture on host plants. It occurs on bluegrasses, bent grasses, fescues, and zoysia. The pattern of symptoms depends largely on mowing practices. Under close mowing conditions the circular straw-colored spots (3 to 6 cm in diameter) are distinctly outlined in the early stages of disease development. With higher cutting heights, the bleached turf spots are irregularly shaped. In the early morning, when dew is still on the grass, a white cobwebby growth of the fungus may be seen over the spot. Spots coalesce to cover large areas when the disease becomes severe. To treat and prevent dollar spot apply a fungicide for the disease at recommended rates and intervals. Applications are most critical during moist weather in the spring, early summer and fall when temperatures are between 70° and 80°F. Fungicides recommended for dollar spot include, but are not limited to those shown in the table on the following page. Red Thread is a lawn fungus in your lawn and it looks like small light pink and red odd shaped areas or varying sized patches , and they usually appear in May and June when temperatures are rising, the humidity is very high, and we can obtain great results. END The infected parts will eventually turn a light tan with redish shades, and the leaf margins and tips of blade will be semi covered with some fine pink and red threads, mostly having the lawn turn an overall red color. The susceptible types of lawngrasses mostly include Bluegrasses, bentgrass, bermudagrass, Fescues and perennial ryegrass. Sometimes the fungus can actually overwinter on some of the leaves and in the immediate soil or debris and cuttings of previously infected same type plants. The margins and leaf splits and leaf sheaths are the only grass parts that seem to become diseased. The red/ pink colored threaded material can extend from the end of leaf blades and also can be present on surface of leave blades. The symptom begins on the leaf blades as water soaked small spots that can rapidly grow to cover a large part of the blade or the entire leaf sheath. As these spots get bigger, the tissues can and will dry out resulting in slow fading to a red to tannish color that encompasses the whole leaf blade.